All Reis is a restaurant which is open between the holidays. 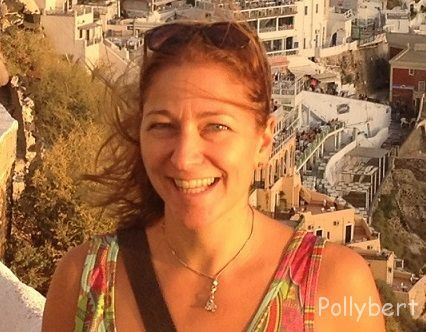 Finding such a place is not a simple thing in Vienna. But it’s worth to try ethnic food especially from countries which don’t celebrate Christmas. You have a good chance to find them ready to order. This small restaurant is off the beaten track on the outskirts of Vienna (okay, so it’s not downtown). All the more reason though to venture outside of center and try something new. All Reis boasts to serve authentic Bangkok street food and the couple of dishes we sampled confirm this. 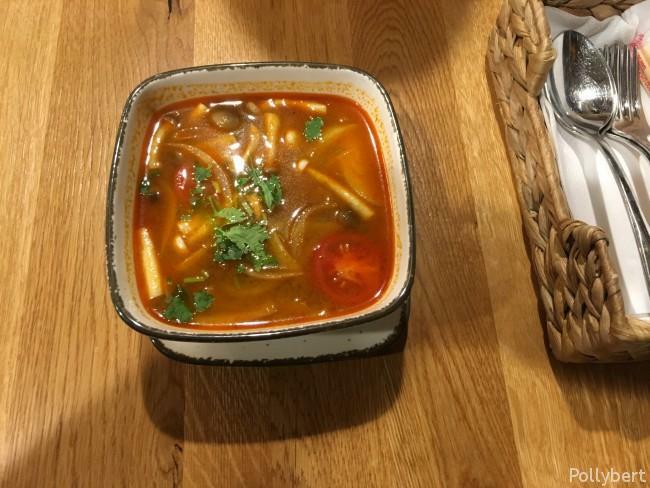 We started with Tom Yum Kung, a spicy soup with shrimps, lemongrass and galangal. This should have warned of what was about to come. Because if you order spicy than they mean business. There is ‘westernized’ spice level. If you want medium, then you have to say so. The soup was nonetheless delicious with a slightly sour taste and full of mushrooms and tomatoes. Our main dishes were both fairly simple. I had eaten enough during the holidays and needed just something small. 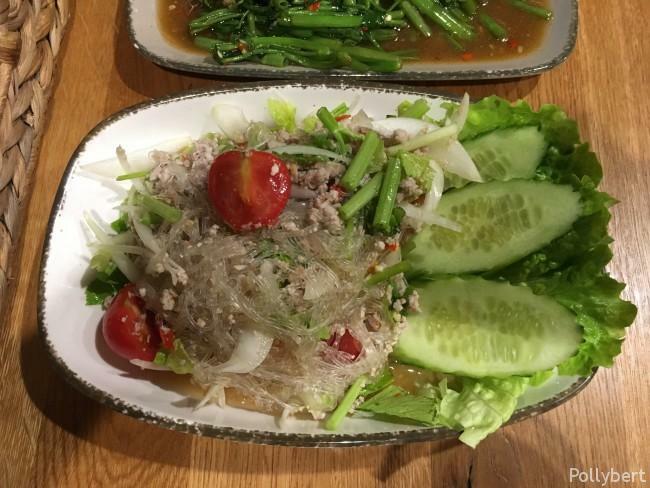 I opted for a glass noodle salad with minced pork. The salad was spicy as expected, maybe a bit more so after the first couple of bites. The tasted was great though, a little less onion would have worked for me as well. 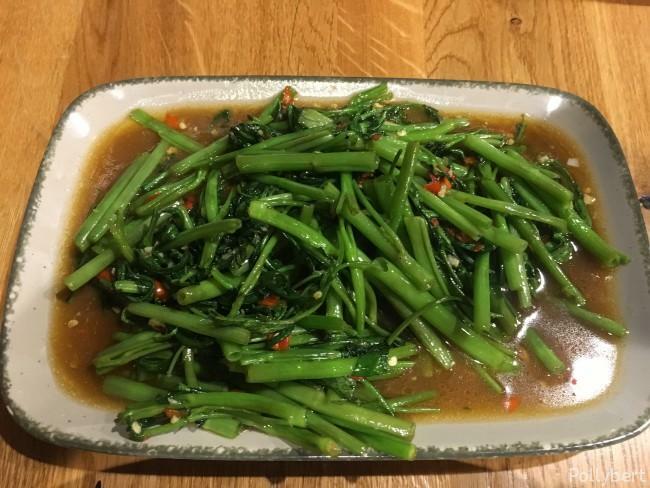 The water spinach was in a sublime sauce which was so spicy though that my friend told me that her scalp was sweating. I helped her finish the dish while she then ordered dessert. Unfortunately there is no picture of the dessert. The Thai bananas in coconut milk found favor with my friend and vanished pretty quickly. 15. 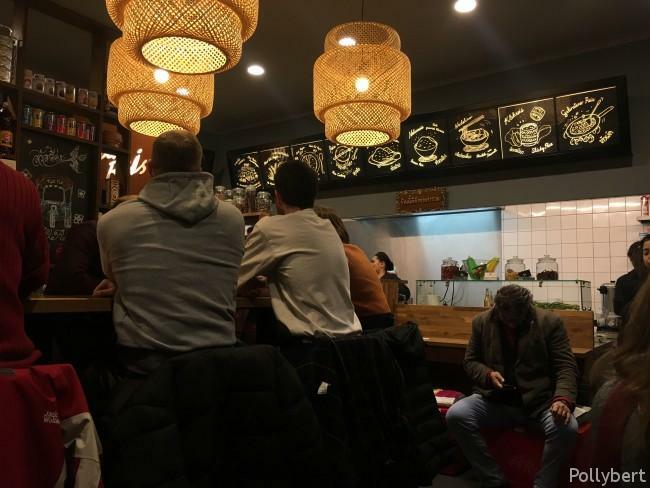 Bezirk, Asian food, Austria, dining in Austria, dining out with friends, restaurant review, Thai food, Vienna, Wien. Bookmark.